Trees are a part of the environment and people should cherish them as much as it is possible to do so because they provide oxygen, shade, and aesthetic appeal. However, it also becomes necessary to cut down trees occasionally. For example, a tree may be blocking sunlight from reaching your home. It may also be full of disease or insects such that you would need to cut it down to keep your family safe from infection or infestation. Additionally, people may cut down trees to plant others ones in their place. Moreover, some trees become a danger to you and your family because they might fall on you or your home if a strong wind or flood hits your area. Finally, you may be cutting down a tree for commercial purposes so that you can provide people with wood for furniture or logs for their cabin. You should learn the proper way to cut down a tree regardless of the reason why you are cutting it. Tree cutting accidents are a reality in today’s world despite the tools and technology people have to prevent such occurrences. At times, these accidents go viral on social media garnering a lot of views and comments, but in reality, they are serious issues. They can even result in death. The most common type of accident is a falling trunk, branch, or limb hitting you or your loved one. Falls are also typical in cases where a person climbs a tree to cut down a limb without harnessing himself properly to the trunk. People who decide to cut tree branches from the roof of their buildings are also likely to fall. Unstable ladders will also lead to catastrophe. 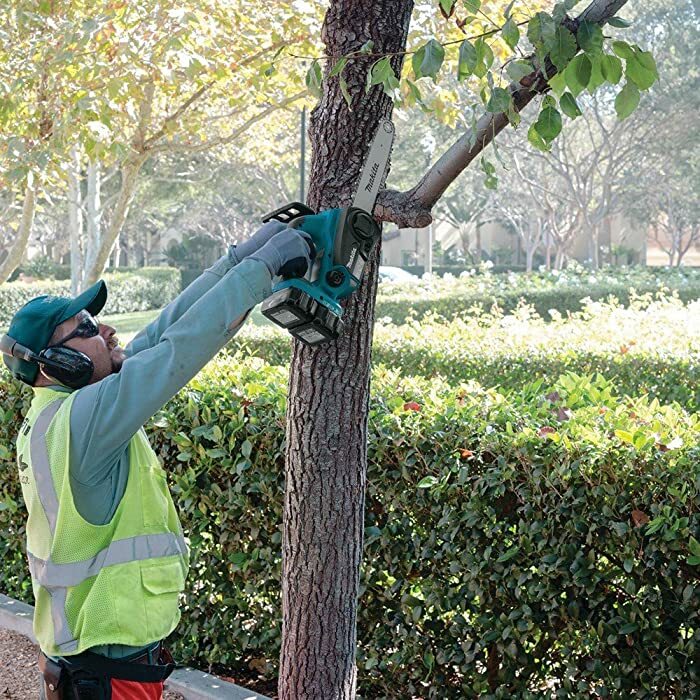 Other possible accidents include electrocution when trimming close to live wires, eye injuries from sawdust or chips of wood, and stings or bites from animals living in the tree. To avoid these accidents you ought to learn the proper way to cut down a tree and here it is. It is dangerous for you to start working when you do not have all your tools ready for use. Assemble them together before you start cutting down the tree. Make sure that you have a first aid kit close by just in case anything goes wrong. You should also put on your protective gear including a hard hat, steel-toe boots, goggles, industry gloves, and Kevlar leg-coverings. After assembling all of these stuff, get your chainsaw, rope, ladder, wedges, and axe. Examine the tree to determine the best way of cutting it. Cutting a tree is a complex operation that requires a lot of thought. For example, you should know in which direction the tree leans. Choose a drop zone that follows the natural path the tree would follow when falling. You should also determine if the tree is dead. Knock on it at different points with your axe. If it makes a hollow sound then it is probably dying or dead already. Dead trees are easier to cut than the ones that are alive. Does it have broken branches? Is there an adjacent tree that could interfere with its falling trajectory? Is there anything else in the path of its fall? Each question will help you to determine the best way of cutting the tree easily and safely so spend some time examining the tree. The horizontal cut you make on the tree should be at the same level as your hip, and not higher than that. Additionally, the cut should not extend into more than one-third of the tree’s trunk. Always remember that it will fall to this cut perpendicularly. Then you should start making the wedge cut. You can make it from either the bottom or top of the horizontal cut. However, you should put a stick on the other side of the cut to make sure that it is straight. The resultant shape of this action would be something like an orange slice. The next step is the back cut, which should be about 1.5 inches above your horizontal cut. 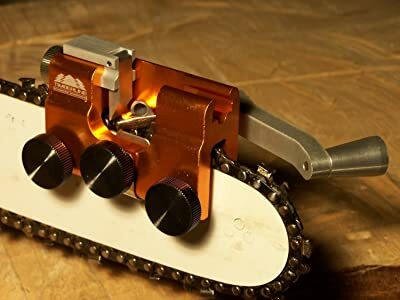 You can prevent the trunk from settling on the chainsaw by using a wedge. As you make the back cut, be sure that the holding wood is as thick as possible because this wood decides which way the tree will fall. After you have completed the back cut, you should have a holding wood that is even. Add more wedges if necessary. Slowly the tree will start to fall. If the holding word is not even, it will start falling sooner than expected. Run using your pre-planned escape path. However, you should change your path to a safer direction than the original one if the tree falls in an unexpected direction. Thanks for the great information how to cut down my trees. I am worried about the cost and time if I do it on my own because I’ll have to rent all of the equipment to get the job done and hopefully not get hurt. It’s interesting how by making a wedge correctly, then with knowledge will be able to control where the tree will fall to avoid other objects in the surrounding area.